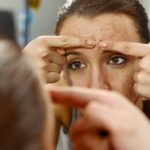 Home » Articles about our Treatments » Bad Tattoo Causing you Nightmares? Bad Tattoo Causing you Nightmares? “Tattoo Nightmares” is a brand new television show on Spike TV. Having caught an episode last week, I must say that the program is aptly named. Not because it’s a bad show or anything – in fact, it’s quite entertaining in a shock-value type of way. 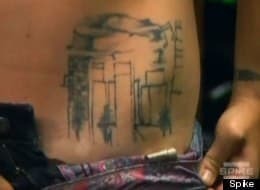 But, more importantly, the show clearly depicts what a nightmare it can be to live with a bad tattoo. One of TV’s latest reality shows, “Tattoo Nightmares” showcases the experiences of Los Angeles-based individuals who have made the regrettable decision to get a tattoo. People visiting a tattoo parlour for the purpose of covering up bad tattoos is the premise of the show, but having watched what these people had to go through, it begs the question as to whether the experience is worth it or not. Excruciating. This is the first and most prominent word that came to mind when thinking of what it must be like to cover up a tattoo. And I wouldn’t be far off in my guessing. A young woman named Erica demonstrated just how horrific the tattooing process can actually be. Visiting the parlour with a horrendous tattoo of the Los Angeles skyline, Erica agreed to have another version of the skyline tattooed on top of her old one. I couldn’t help but think about the old adage of sweeping things under the rug. In other words, her idea to cover up a poor decision, as opposed to removing it, just seemed to be a bad one, in my opinion. I couldn’t have been more correct. Her tattoo artist, Big Gus, explained that to properly cover up the shoddy work of Erica’s previous tattoo artist, he would have to use white outlining. This process, he explained, was incredibly painful, especially since it took place near the end when the skin was overly sore and raw. Erica could barely take it. She screamed and wailed uncontrollably. Honestly, it was hard to watch because she was in so much pain. And when it was all said and done, she had a new skyline of Los Angeles spanning from her stomach to her back along her left side. On camera, Erica claimed to like it, of course. In truth, it’s an eyesore. I can’t imagine anyone thinking that Erica’s new torso looks cute. Sadly, she has done more damage to herself than good, and will likely have to live with that horrible looking and much bigger tattoo for the rest of her life. As an alternative, Erica could have opted for Laser Tattoo Removal. It would have caused her far less pain and clearly would have left her without an over sized (and quite frankly) ugly drawing on her body. 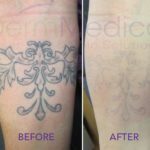 Laser Tattoo Removal is becoming an increasingly popular way to do away with bad mistakes. In my next blog, I’ll discuss this treatment in greater detail.